Rest in peace my brother! Prayers going up for the Liu family and the NYPD. Rest in Peace my brother of blue. My deepest condolences to Officer Liu's family. This was a horrible, senseless act against an individual serving to protect us all. My prayers are with you and the law enforcement family. It is with deep sorrow and great respect that I extend my deepest sympathies to the families of two police colleagues and fellow NYPD. My condolences goes to the 2 families who will be affected for their entire lives. You bravely perform your duties and responsibilities as members of NYPD. Dignified police officers. May the lord accept you with open arms. Forever rest in peace. 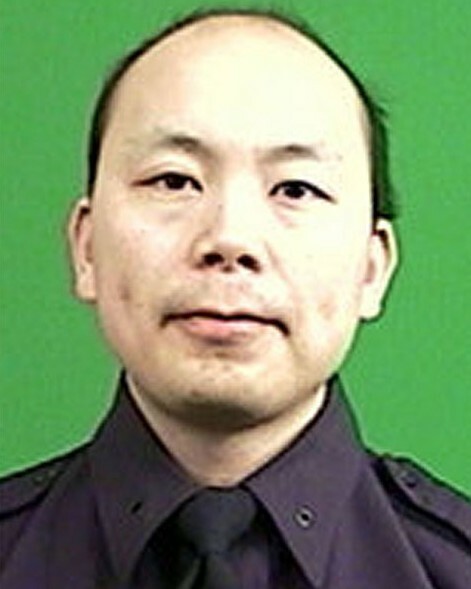 Rest In Peace Officer Liu patrolling the streets of Heaven, A Part of America Died. wife of Disabled Police Capt Bruce Weatherford, Hialeah P.D. My heart breaks for you and your family. God bless and rest in peace. Thank you for making the ultimate sacrifice. He was born in the People's Republic of China. He was the only child due to the Chinese law of one child per family policy. God bless. Godspeed to your family, friends and the NYPD. May these fine officers rest in peace. They have gone to be with thier Bros. and Sisters at the final role call.We will pray fo them and thier family members.Lord, give me courage to face my own fears; courage to take me others will not go, and dedication to my community to keep it safe. Please accept my deepest sampthies to all the officers' collegues and families. I can't begin to imagine what you are all going thru. Also to the dectectives that are investigating the crime itself: Not an easy task for them under those circumstances (pressure from everywhere and everybody). As you probably herd on the news, a similar plot was recently discovered in our country & province before it was put into action. The big police officer family from the Quebec Provincial Police is behind you! Wish you all the courage you need to go through these events. Quebec Provincial Police - Cookshire Det. I pray for these officers and their families. What a cowards way to prey on someone! God is still ever so present in our hearts and minds. This will not shake our close knit family but it does bring sorrow to us for officers who are doing what is right to protect others. What must we sustain to end this? It is by God's grace that we carry on the fight, never giving up. I pray for peace and unity among us all. May God grant these officers eternal rest. We are With you in this sad moment and hope the best for futur. My sincere deepest sympathises to Officer Liu's family. I watched the news and was horrified and revolted at what I saw and heard. I have no doubt colleagues from around the world where equally saddened at this mindless act. Rest easy my brother, thank you for your service and a job well done!